Are we ready for "Unlimited" mobile traffic? Forums › New Zealand Mobile and Wireless › Are we ready for "Unlimited" mobile traffic? Hi guys, I can actually recall having a discussion with John about this, but I believe it was before I knew all the facts. 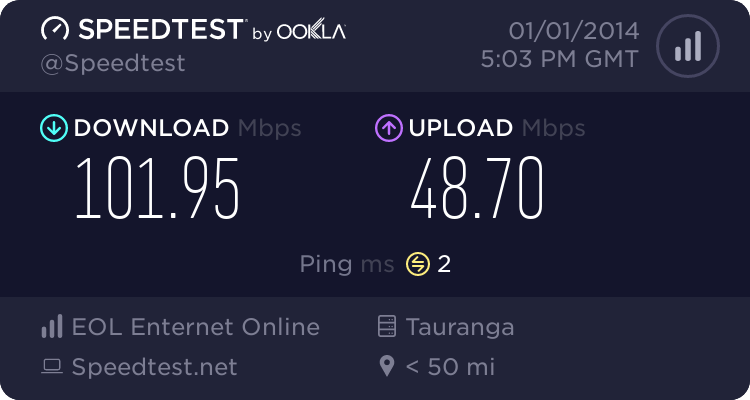 I was wondering, is NZ ready to provide a plan, or option with "unlimited" mobile data? May be slower, but still better than nothing I guess, and I do believe the take up rate will be high.. Unlimited 2G browsing? Have you tried browsing on a 2G connection recently? How do you define what a data consuming website is? I would not take up an unlimited 2G plan, that's an oxymoron: unlimited data which you can't do anything with pretty much! Cant see this happening any time soon. The bandwidth is expensive and a finite resource. The closest we'll get is zero-rating the odd service (like spark socializer). corksta: Unlimited 2G browsing? Have you tried browsing on a 2G connection recently? How do you define what a data consuming website is? 2G as used 2Degress is passable but not 2G Vodafone which is like dialup is not.. I could cope with that but I don't even go through my 500MB cap at the moment. It's pretty awesome that my $19/mo prepay mobile phone service has the same data cap our paradise cable broadband had back in 1999. Back in 2007 - vodafone NZ has unlimited mobile data. nakedmolerat: Back in 2007 - vodafone NZ has unlimited mobile data. PaulZA: Hi guys, I can actually recall having a discussion with John about this, but I believe it was before I knew all the facts. Unlimited meaning, full download speed, up until your data has been exceeded, or credit has run out, but then instead of being denied access to the web, as people are more dependent on mobile these days, for maybe a few dollars extra more a month, they just get set unlimited 2G browsing, with maybe the more data consuming sites blocked, or maybe unlimited Facebook access, WhatsApp, Viber, for a few extra dollars, with 2G speeds... May be slower, but still better than nothing I guess, and I do believe the take up rate will be high..
What would you define as this "limit" to enforce slow speeds? You haven't explained who would set that. Not everybody uses prepay so doesn't have credit that "runs out"
I'd prefer NZ had mobile networks that actually function, not terrible networks such as those in the US. Unlimited mobile data is quite possibly one of the top 10 worst ideas to ever launch in this world. Wireless is, and always will be a finite resource. If you're wanting some context when it comes to network builds - Nokia's goal is by 2020 to have networks and hardware that are capable of supporting 1GB per user per day. Your idea would more than exceed that right now. My son is staying with us at present, and he is connected via T-Mobile in the USA and their 'Unlimited' 128kbps roaming service. 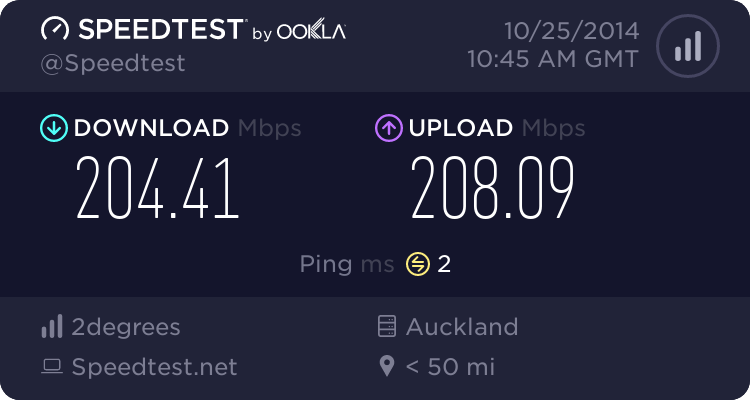 It's not only the Speed that is lousy, but also the Lag which is around 700ms according to Speedtest. Most times, speedtests don't even complete, and with so much lag, the service is not what you'd call responsive. For basic web browsing, and a bit of email, it's not too bad, but 'Unlimited' is a bit of a joke really. There are various 'Fair Use' clauses in the T&Cs but the kicker is that they've disabled tethering. This is definitely the case on an iPhone, and also on a Windows phone, but I don't know if there is a workaround for Android. Not being able to tether to a laptop greatly limits the usefulness of the 'Unlimited' data, which is actually pretty much limited in all respects except the sheer number of MB you could consume if you were very determined. I could cope with a 128.8KBps unlimited 3G service. It would make news websites and forums like this for example do-able. I also don't think that's much to ask for. Especially considering what full speed 3G is capable of. 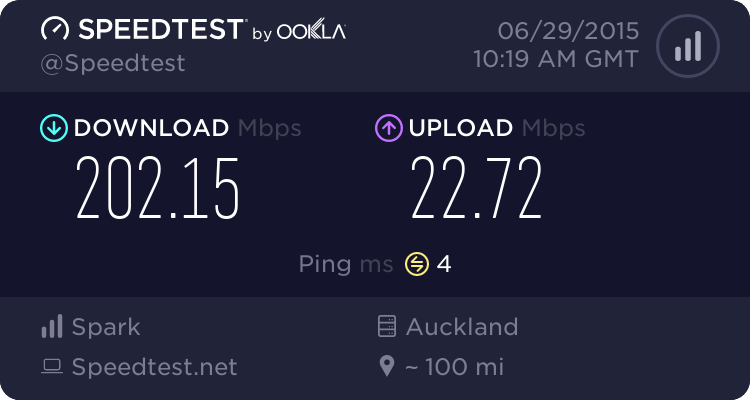 kiwikiwi: I could cope with a 128.8KBps unlimited 3G service. It would make news websites and forums like this for example do-able. I also don't think that's much to ask for. Especially considering what full speed 3G is capable of. Back in the day website pages were circa 60k, maybe a bit more, dialup was 53k max, fine. Now, webpages are often 1MB. Dialup at 53k is hopeless, so 128k would be half hopeless. I think the answer is increasing the GB of a mobile plan, thats been happening at pace for a while now, get a bigger plan is my answer. I was stuck using Edge data when I was last in Samoa. (Telecom branded phone didn't support 900Mhz 3G) Geekzone was one of the few sites that was still usable. And Facebook via the App wasn't too bad if you didn't mind the pictures loading slowly. Sites like NZherald were terrible due to all the scripting and adds.